A complete solid-state design-using Relay drives. Fast rate of correction greater then 10 to 50 Volts/Sec. Efficiency is greater than 97%. Synchronous motor drive for high reliability. Excellent regulation as high as 1%. Voltmeter to indicate either input voltage or output voltage. Audio alarm at high / low inputs. MCB/MCCB for input / output. 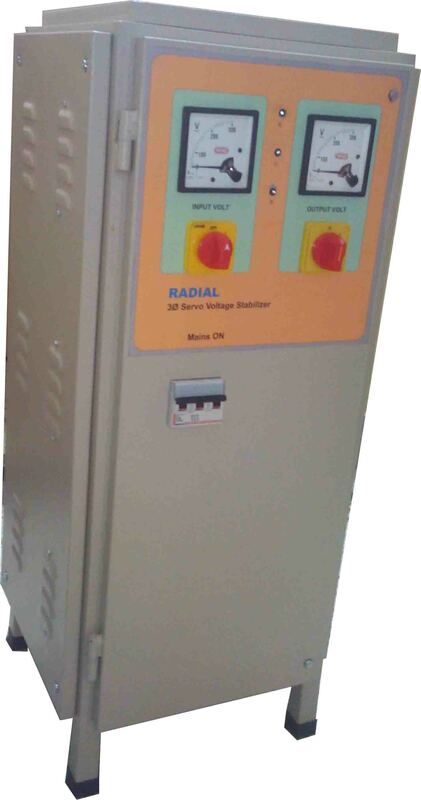 Input Voltage 170 V to 270 Volts Input Voltage 300 V to 460 V.A.C.